The March issue of Australian Patchwork and Quilting has a lovely article about me and my studio Dunn Quilting. Check it out! I’m so excited and honored. One of the quilts featured is titled: “Companions on the Trail” and was commissioned by Nancy. She recently purchased a new travel trailer for her horse and her dog. She sent me many photos of both, and lots of fabrics that she will also use to make a bed quilt for the trailer. This quilt will hang in the trailer on the only available wall! Nancy loved the result! This entry was posted in News! 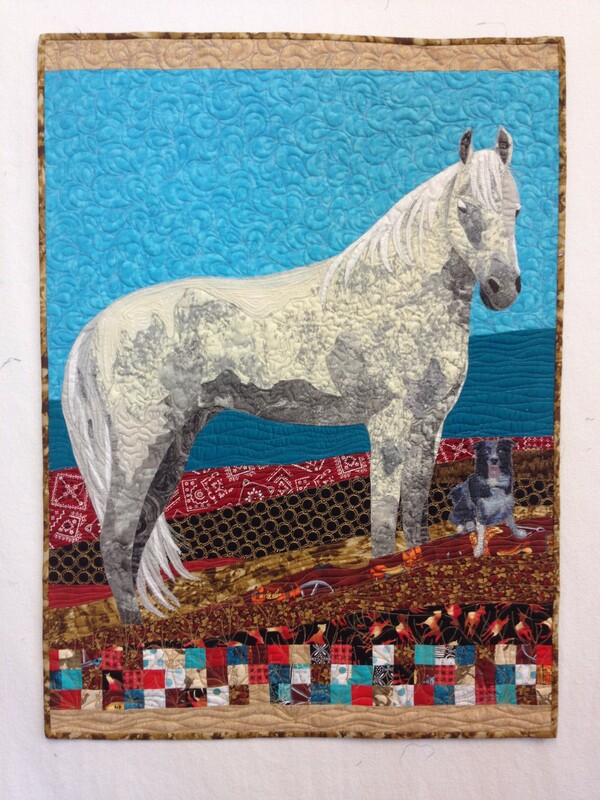 and tagged commissions, horse quilts, quilts on March 24, 2015 by Nicole Dunn.